This year is off to a rousing start for Chinese tech companies listing overseas, with multiple companies already planning to go public in Hong Kong, and US$110 million raised and nearly US$2 billion filed for the US. “The supply of capital for new listings is growing,” says Kai Fang, managing director and head of China equity capital markets at China Renaissance. The investment bank has helped with some of China’s top tech deals, such as the public listing of JD, Alibaba’s domestic archrival. 2014 was a golden year for US exchanges, which saw three public listings whose proceeds surpassed US$1 billion. Alibaba, which ended up raising US$25 billion, is still the largest IPO in history. China’s appetite for public listings isn’t new. The country has led the world in IPO market share since 2014, according to a 2017 report by Thomson Reuters. 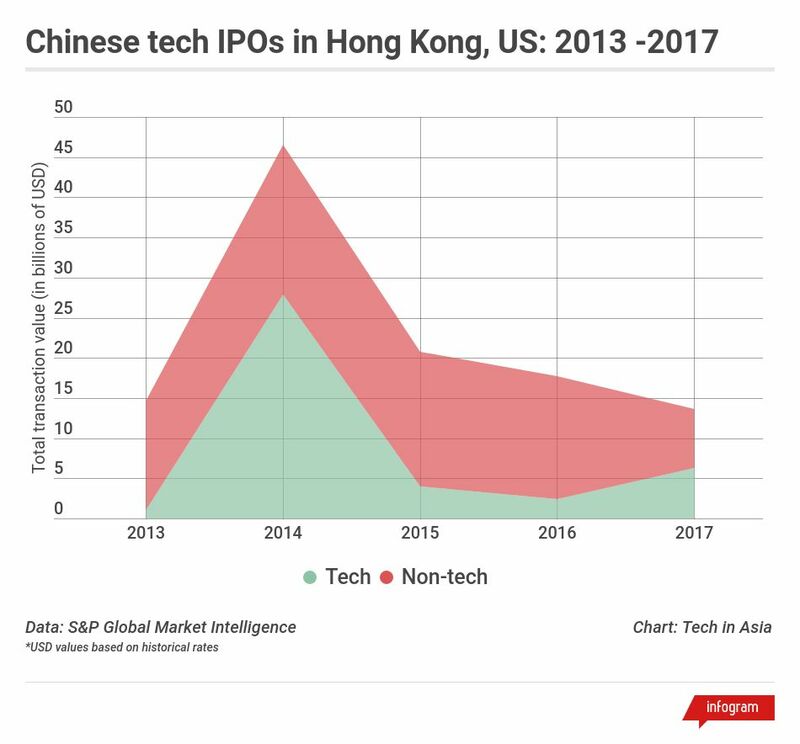 Last year, Greater China, which includes mainland China, Hong Kong, Macau, and Taiwan, issued a total of US$49 billion in IPO proceeds – or a quarter of the global total – from both domestic and cross-border listings. But tech will be a particularly important sector to watch this year, as Chinese companies eye the global market and tech-savvy investors. Last month, Huami, Xiaomi’s wearable device partner, broke the seal on cross-border tech listings with a US$110 million IPO in the US – a taste of what’s to come with Xiaomi’s own public listing, which could push its value to a rumored US$100 billion. Last year, Greater China issued a total of US$49 billion in IPO proceeds – or a quarter of the global total. Indeed, IPO activity from the Chinese tech scene is part of a growing trend. It’s already one of the top three industries for IPOs from Greater China, according to consulting firm EY. “Tech companies in China have developed rapidly in recent years, benefiting from various [government] initiatives, such as ‘13th Five Year Plan,’ ‘Internet Plus,’ and ‘Made in China 2025,” says Paul Lau, partner and head of capital markets at consulting firm KPMG China. “Recently, we’re witnessing high levels of oversubscriptions for IPOs from the ‘new economy’ sector. This reflects the market’s confidence in China’s increasing efforts towards innovation and technology,” he tells Tech in Asia. For Chinese tech companies, going public overseas offers two main benefits: blockbuster valuations and international exposure. 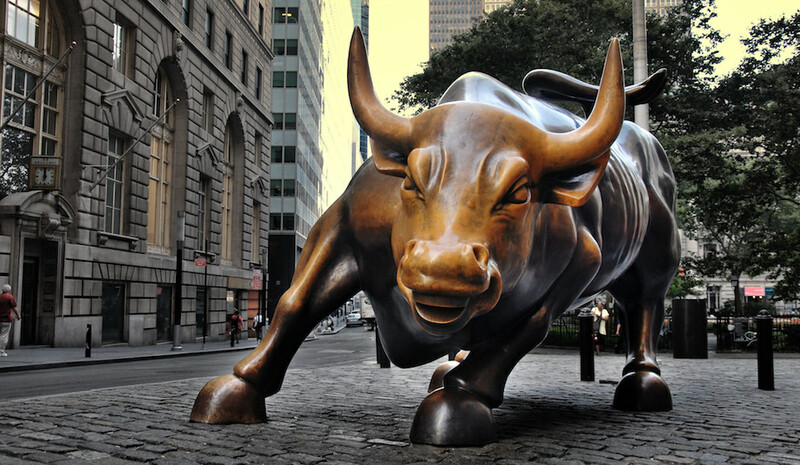 Last year, fintech companies were particularly well-represented, with seven companies going public in the US. Many were online consumer lending platforms, such as PPDai and Lexin, which use big data to assess creditworthiness and offer microloans. China’s A-share market requires companies to show net income for the last three fiscal years in order to list. However, some fintech firms like Qudian – which raised US$900 million in its IPO – saw their share prices plunge due to tightening regulations in mainland China. The Chinese government is increasingly wary of online microlenders and suspended regulatory approval for new companies in the sector last November, shaking investor confidence. This year’s lineup of public listings shows a mix of companies across capital-heavy verticals, such as those in media and entertainment – a sector becoming more dominated by pricey licensing deals. For instance, Baidu’s Netflix-like streaming site Iqiyi and Shanghai-based anime video site Bilibili recently sent in US$1.5 billion and US$400 million IPO filings, respectively, to the US Securities Exchange Commission. Neither company is close to breaking even, though both have seen significant revenue growth. Last year, Baidu’s net losses amounted to US$585 million, a US$95 million improvement from the previous year. That’s one reason why Chinese companies opt to list overseas. China’s A-share market requires companies to show net income for the last three fiscal years with a combined profit of more than US$4.7 million in order to list – though domestic regulators are mulling reforms. According to unnamed Reuters sources, Shanghai-based electric car company Nio is also seeking up to US$2 billion in an IPO later this year, as it invests in autonomous driving and battery technologies. This year’s wave of public listings will also benefit Chinese tech giants, which have become influential investors in the country’s startup ecosystem. Tencent, in particular, could reap large rewards. The Chinese social and gaming giant is an investor in Nio and Bilibili, as well as livestreaming app Kuaishou and movie-ticketing platform Maoyan – which are both reportedly planning to IPO in 2018. China Literature, Tencent’s e-book spin-off, was the top public listing in Hong Kong in 2017. Tencent’s music arm is also looking to go public, according to anonymous Bloomberg sources, though it’s unclear when the company would list. These IPOs would be a continuation of the Shenzhen-based tech giant’s success last year, which saw US$1.2 billion in proceeds raised from China Literature, Tencent’s e-book spinoff. It was the top public listing in Hong Kong in 2017. In third place was another Tencent-backed company: online car retailer Yixin, which netted US$860 million. Tencent isn’t alone, either. Ping An Insurance, one of the largest insurers in China, could see Lufax – its Shanghai-based online wealth management marketplace – go public in Hong Kong later this year, as it seeks a valuation of US$60 billion. Other tech giants may follow with their own spinoff listings as well. During this year’s World Economic Forum in Davos, JD founder and CEO Richard Liu stated that the ecommerce firm was considering listing its logistics subsidiary in either Hong Kong or mainland China. Investors and companies aren’t the only ones getting in on the action – government regulators are also trying to attract more IPOs to their respective exchanges. Hong Kong, for instance, is planning to launch dual-class shares or weighted voting rights that give certain shareholders, such as company founders, more voting power with relatively fewer shares. Several companies that had previously considered a New York listing are now planning a Hong Kong listing. 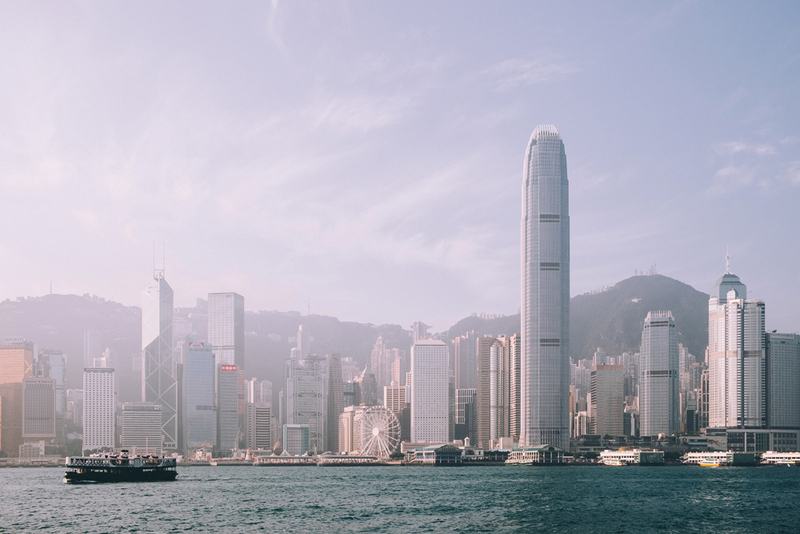 An added benefit of listing in Hong Kong is its stock connect, a collaboration between mainland China and Hong Kong exchanges that lets investors trade securities in each other’s markets. That means companies that list in Hong Kong can tap into a pool of Chinese investors “who may be more familiar with a company’s brand, products, and applications,” adds Fang. That being said, regulators from mainland China are also trying to keep listings domestic. To date, all members of the country’s BAT trio – Baidu, Alibaba, and Tencent – have chosen to list overseas. Easing regulations for aspiring public firms, such as tweaking the three-year profitability requirement, could change that. Pressuring companies to consider dual listings – one overseas and one in China – might also work. According to The Wall Street Journal, Chinese authorities are asking Xiaomi, which plans to IPO in Hong Kong this year, to list its shares on the mainland as well. Currency converted from Chinese yuan and Hong Kong dollar. Rate: US$1 = RMB 6.33 = HKD 7.84.